POSITION: The Barber County Sheriff’s Office is currently accepting applications for the position of Patrol Sergeant. The Patrol Sgt. will perform a variety of routine and complex law enforcement duties in the administrative position. The successful applicant must be able to work well with the Barber County Attorney’s Office and other law enforcement agencies in the County. REQUIREMENTS: The applicant must have excellent communications skills, leadership ability, problem solving ability, organizational, reasoning, and public relation skills. The ideal candidate will have demonstrated leadership experience, tactical competence, and a proven work ethic. Current Kansas Law Enforcement certification is preferred. The successful applicant must be able to pass a background check, psychological evaluation, medical exam, and a drug screen. Applicant work experience should include three years as a certified peace officer with a minimum of one-year supervisory experience. Residency in Barber County is required prior to the first day of employment. DUTIES: The patrol duties will include enforcing traffic laws, conducting investigations of crimes and accidents, and providing public assistance. Barber County deputies are required to exercise initiative and discretion while handling emergency situations. This position will also require the applicant to have the ability to enforce all federal, state, and local laws in a fair and just manner. This work involves an element of risk and personal danger including the threat of life. SALARY: This position is full time and includes working 12-hour shifts and could include holidays, weekends, and special assignments. Compensation ranges from $16-$20 per hour depending on qualifications. The position also includes health and life insurance, vacation and holiday pay, sick leave, and KPERS retirement. In addition, a take home car may be provided. This position reports to the Undersheriff. 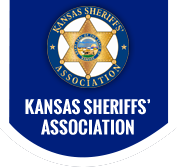 Applicants must submit a cover letter, resume, salary history, and three professional references to Undersheriff Dusty Brewer at dbrewer@barber.ks.gov. For questions or additional information please call 620-886-5678.